Lykaon is not finished yet. Presentation and Dialogue are far from finished, there will be a lot more quests, there is no voice acting yet, and of course you will encounter some bugs or other unfinished areas. The adventure also needs to be optimized to run properly, since right now it can only be enjoyed with High End PCs. REDkit Closed Beta has come to an end. First of all, we would like to thank everyone for your participation, continuous help, extremely valuable feedback and indulgence. The closed phase ended with us picking the best mod, and it turned out to be exceptional! Benzenzimmern (the modder) keeps saying that his mod is still not finished, but believe us, he’s just being humble – his work is truly amazing and should give you tons of fun! The winning adventure offers a few hours of gameplay and witty dialogues. The best thing about it is that he did it all by himself with a little help from his girlfriend. This is what you call a perfect relationship! 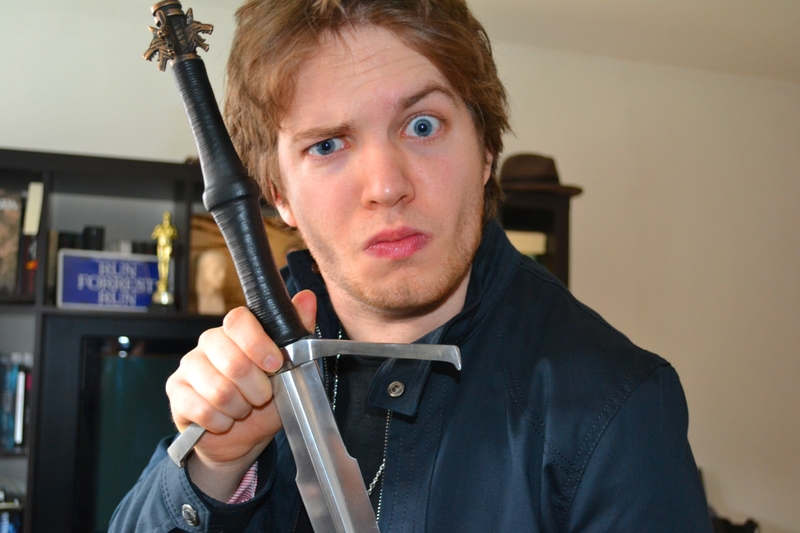 Philipp will receive the main prize, which is a one-of-a-kind Witcher sword, forged from the finest materials (check out the pictures below) and a huuuge bag of goodies from CDP RED. Philipp’s work is also featured as the first Mod of the Month. 1) Tell us more about yourself: favorite books, games, movies, music... or maybe a totally off-the-chain hobby? The “floor’s yours” and we're really curious! Of course The Witcher books are one of my favourites, but I also like to read non-fiction: biographies or history books. I guess this helped me a lot when I wanted to create a believable world. I like role playing games like (you know it was coming) The Witcher, but also action games, strategy, etc. But it seems that I don't play them as often as I used to. About once in two weeks. I am a big "movie person". We go to the cinema with my girlfriend almost once a week. My favourite movie is probably Hot Shots 2. I just loved this movie as a child. I guess some of this humour is also to be found in Lykaon. I mostly listen to classic rock from the 60's and 70's and I still think that "Sing the Sorrow" by AFI is one of the best records ever created. Right now I listen a lot to the "Poets of the Fall", a band from Finnland. They are also featured in Max Payne 2 and Alan Wake, for all gamers out there looking for good music. I guess it would be a good idea for CD Projekt to do a similar thing with Dandelion for the Witcher 3. 50 Euros for the idea! 2) During work, creative “meltdowns” are inevitable - what kept you going when you encountered problems during development? No matter how hard it sometimes was when something that should work just doesn't, I always had fun with Redkit. I never really had "creative" problems, since I don't plan a lot. When I do a quest I just have an idea and then I start doing it and writing it immediately without any planning. 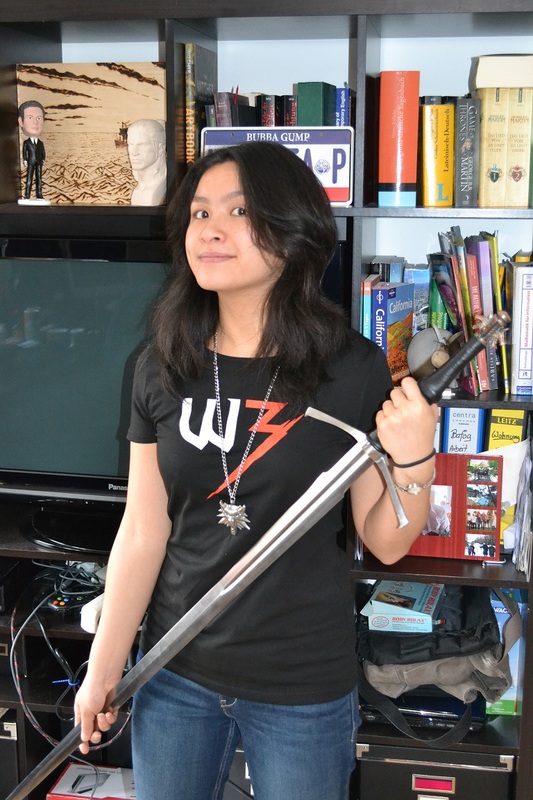 3) How have you imagined working with The Witcher’s developers and how was it in reality? I imagined that I don't work with them at all. I thought they would just give us some tools, maybe some tutorials and that's it. 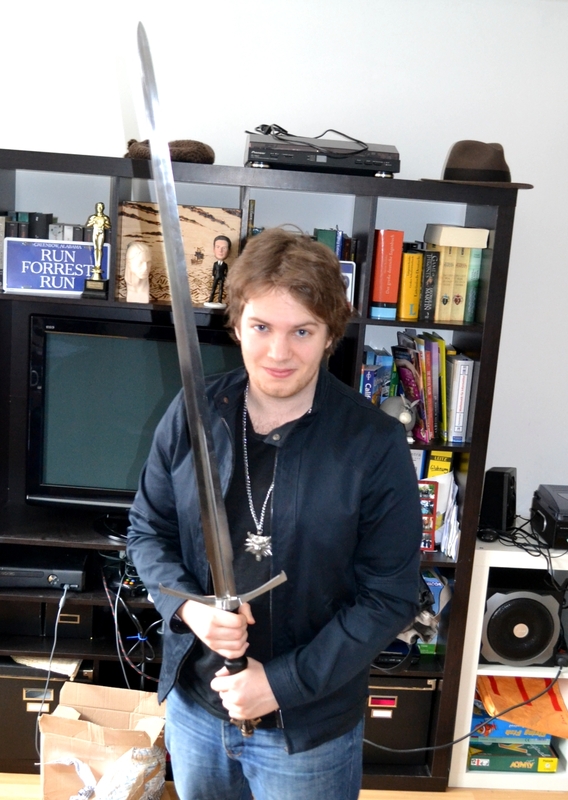 In reality we had a lot of help from CD Projekt, especially from one guy known as "Banan" - Paweł Panasiuk. I guess I couldn't have done anything if it wasn't for him. Sometimes we talked everyday about questions and ideas. Other times we just talked about how CD Projekt works and I learned quite a lot about game development. We also got some help from other developers who gave us insight in working with their tools. All in all it was a pretty positive experience and I would be very happy to work with them again! 4) What do you like the most about The Witcher’s universe? I especially like about it that it feels "real". Sure, there are elves, dwarves, dragons and magic, but you can imagine that this is a real world. People are not good nor evil, they just try to live their life the best they can. I often come across this "clean" fantasy about young boys who are of course orphans. They have a very important destiny lying in front of them and they are going to save the world.... this is probably one of the reasons why I don't read a lot of fantasy. In the Witcher you just have a guy (granted, he is also something special) who does his job. He's cynical, brutal, but also caring and funny. He is just an interesting character. And of course I also like Dandelion. This guy is just funny. I think it is pretty difficult to write a person like Dandelion, because he might always be on the verge to being an annoying sidekick (I am looking at you, George Lucas), but Sapkowski and the writers of CD Projekt nailed it. 5) What were the most important things you wanted to give to the gaming community with your mod? Fun? Emotions? A unique story? Something else? I guess I wanted to tell a mixture of it all. I wanted emotion: sadness, happiness, anger, and joy. There are very dark themes in my adventure, but there is also a lot of fun. It is pretty difficult to get those aspects together without damaging the message, so I hope I did a good job. I often read about how people wanted Sapkowski’s short stories in "game form". The thing is, I am no Sapkowski, not even close, so I wouldn't want to touch those since I would have to change a lot of things to fit those stories into a game. But I still wanted to tell a story in the Witcher universe. A mature story with some meaning behind it. My basic idea was to start the story very simple: People come together to search for an ancient treasure. It doesn't get more "cliche" than this. But of course things are more complicated than they seem. 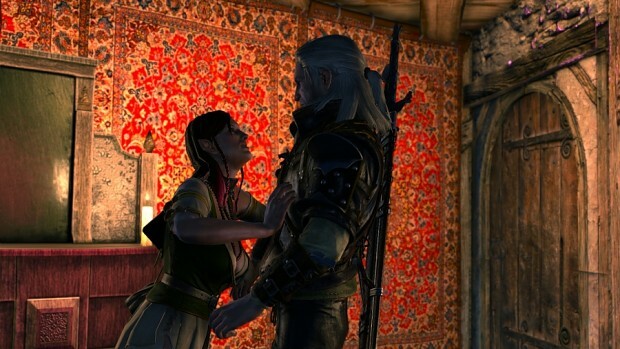 Over the months I thought about a "white spot" in the witcher universe: How did Geralt and Triss really get to know each other? So my plan was to get those stories together. 6) It’s kind of cliche but I must ask - there are always funny stories connected to developing games - what’s yours? The first funny thing I noticed with REDkit is how some npc's don't have eyes when you don't play it in the Witcher 2 game, but only in the editor. I was seriously freaked out to constantly look at those empty eye sockets and into the heads of those people. But I guess my favourite part was in the beginning, when my girlfriend had to do all the hard work - creating npcs, linking quests, etc. and I was running around in our apartment making things and ideas up, yelling them through the building. Good times. 7) Future plans for modding? I would like to finish Lykaon. I am currently building the biggest "free roam" area of my mod so there is also a tiny little open world aspect. There's still a lot to do, quests, music, cutscenes, voice over, but I am sure I will be having fun while doing it (maybe not when I have to add the voices to all my dialogue (I have already over 60 pages of just dialogue and there's a lot more to come)). And of course I want to add some horror to the adventure. When I am done I would like to do another mod with a simple guard living his life in one of the big cities in the witcher universe. Corruption, Murder, Drugs, etc., but also his family life and other things. I would like to do several episodes like "Day 1", "Day 2", etc. Came here from PC Gamer. Good luck with this! Good luck with the mod ;). Found out about this mod via the article on the PC Gamer website.